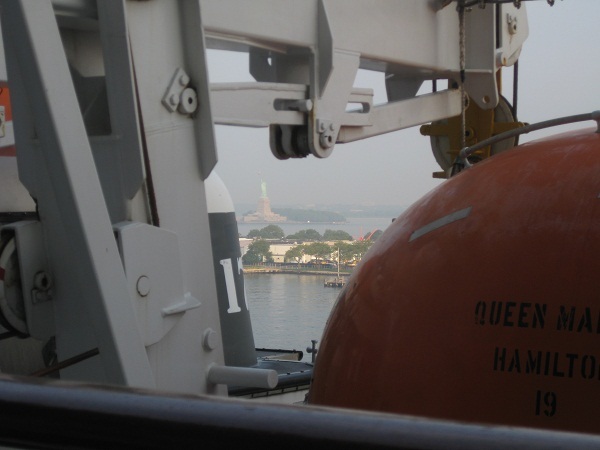 In a rather extreme departure from our usual routine, on our final shipboard morning (Friday 3rd August) the alarm went off at 04:00. 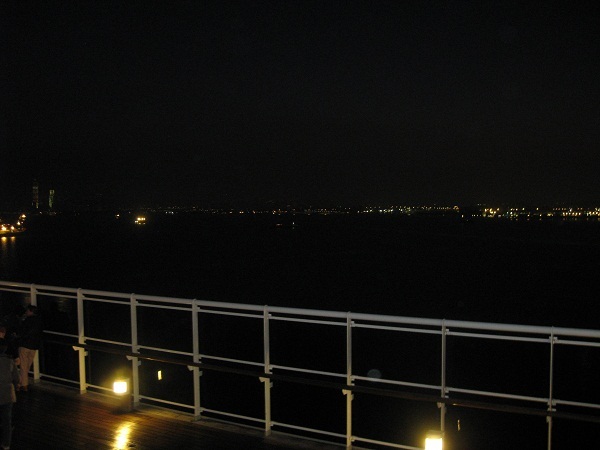 Around half an hour later we joined a surprisingly large number of fellow passengers on the top deck to watch the lights of New York drawing ever closer. 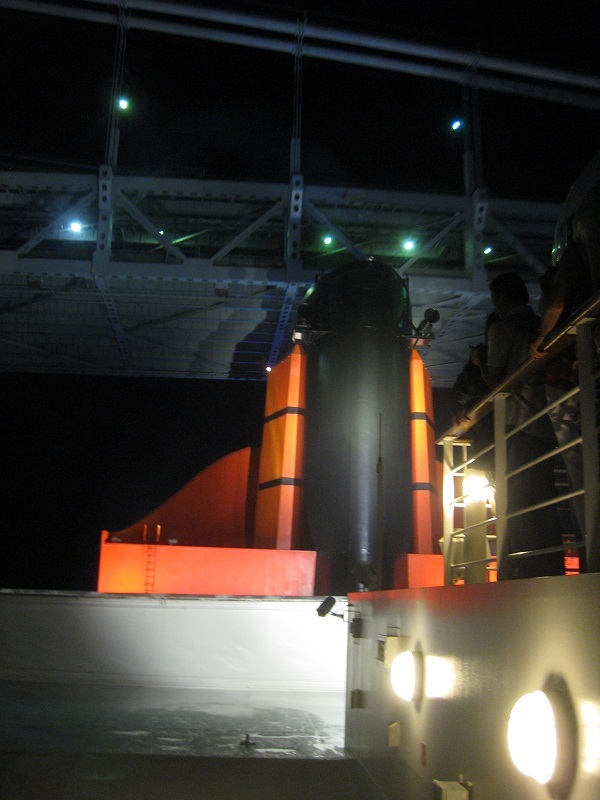 Somewhere around 05:00 we passed under the Verrazano Narrows bridge, a moment made all the more dramatic by the fact that due to the height of the QM2 her funnel only has around 4 metres clearance (and for the watchers on deck it looks like a lot less!). 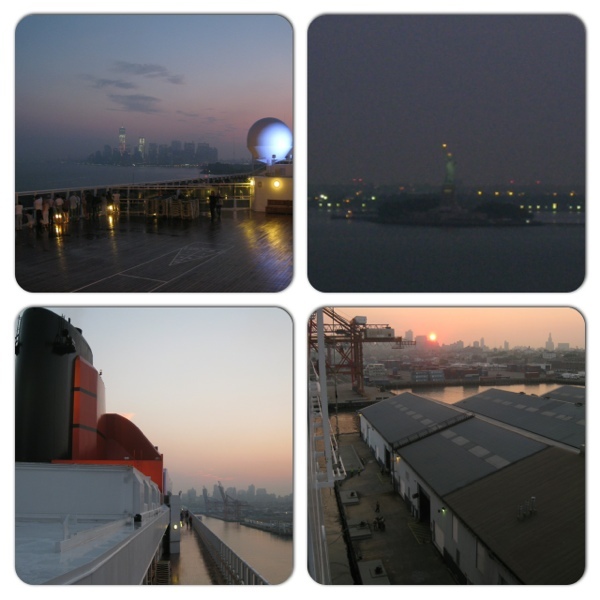 Despite a hint of pink in the sky over Brooklyn, it was still dark as we approached the Statue of Liberty, and the little golden glimmer of her torch was really atmospheric. The new World Trade Centre buildings were the only skyscrapers lit up, but the shapes of the others were clearly visible as the sun began to rise. 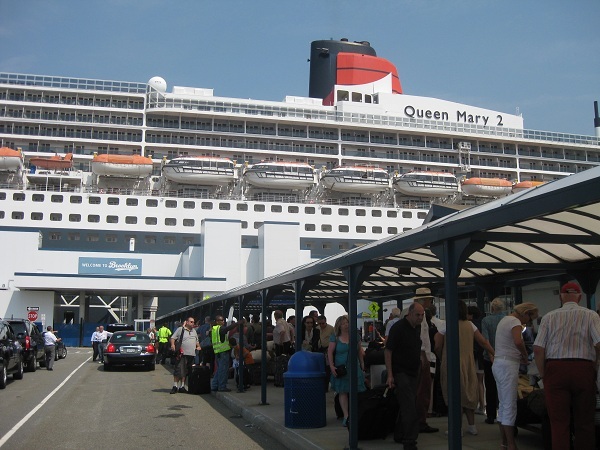 This entry was posted in Travel and tagged Brooklyn, Queen Mary 2 by Emma Davidson. Bookmark the permalink.